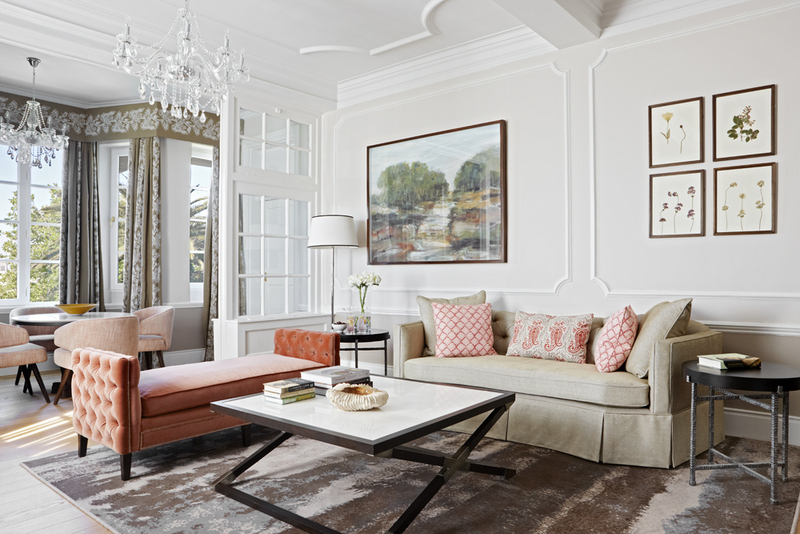 Interior Designer, Inge Moore, and her London-based design studio, Muza Lab, has recently completed the refurbishment of 48 guestrooms and suites in one of the world’s most iconic hotels – Cape Town’s Belmond Mount Nelson Hotel. The design intent was to recreate the original spirit of the grand hotel, which first opened its doors in 1899, sympathetically updating it in such a way as to engage today’s connoisseur travellers and lovers of exceptional hotels. Sated takes a tour of the renovations to see if “Nellie” has kept her charms. Once upon a time, seafarers from around the globe discovered the Cape and made it home, embracing what she had to offer and combining this with what they had brought from their previous lives. This heterogeneity is clearly the foundation of the designers’ thinking and can be seen throughout the rooms: local materials, rustic timbers, beads and clay have been brought together with sparkling crystal, silver cutlery and fine bone china to create a new vernacular that uniquely belongs in the Cape. As you enter the new rooms of Belmond Mount Nelson Hotel, you are immediately struck by how light and airy they are. The palette throughout is neutral but warm, with rich brown leathers, fresh greens and dark woods adding accents of interest to otherwise mellow settings. The bed has become the centrepiece of each room, positioned in a manner that grants bleary eyed guests a spectacular morning view, visible through delicately restored windows. 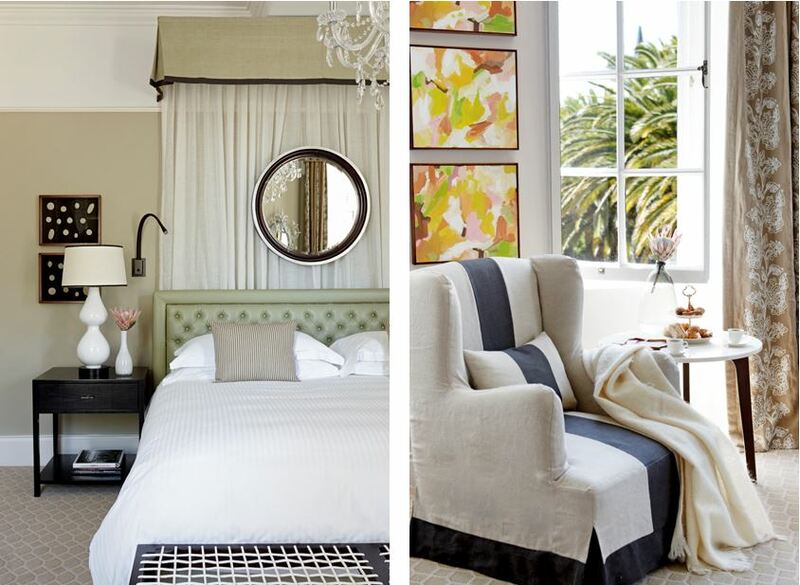 New drapery pelmets are smaller than before, effectively framing scenes of gardens, lovingly tended and matured over the decades, or breath-taking views of Table Mountain. The majesty of nature – both untamed and working in harmony with man – can be further soaked up in unhurried comfort from deeply comfortable armchairs placed by the windows. Heirloom furniture fashioned from dark timber, brass and leather, bespeak traditional refinement whilst idiosyncratic oddities, such as kitsch beaded mirrors, introduce a lighthearted randomness that is unusual in luxury hotels and therefore incredibly endearing. This is felt further when we learn that all the materials, furnishings and artwork have been sourced locally, giving the rooms an added sense of authenticity and homeliness. Natural leather and linen abound whilst beveled mirror reflect the sparkle of crystal and sunshine dancing through the room. Drapery is soft and calming in tone, locally embroidered with a flower motif to bring a biophilic element to the design. New oak flooring has even been introduced into some suites, scattered with rugs crafted by resident carpet weavers. 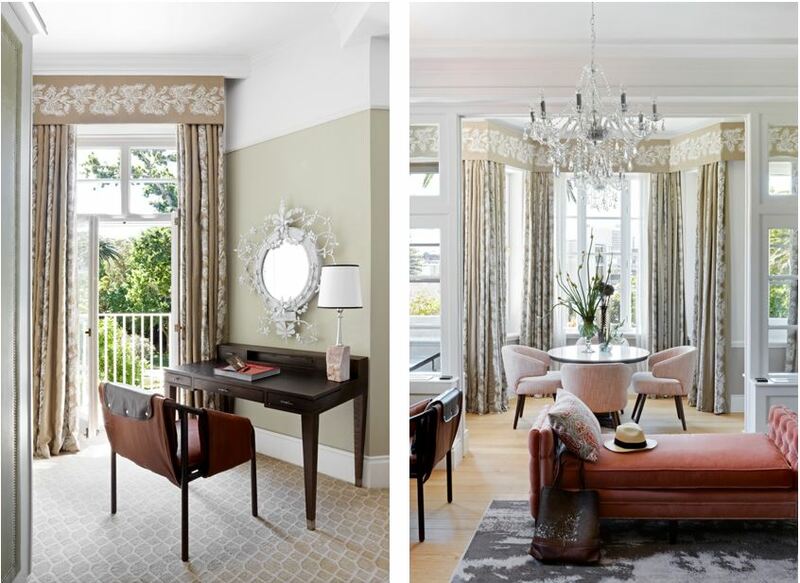 All in all, the refurbishment of the guestrooms at Belmond Mount Nelson Hotel has created a welcoming and sustainable environment that is true to its Capetonian spirit and timeless in appeal. Just as importantly for such a legendary property, the soul of “Nellie” remains in tact. The redesigned rooms are still comfortably residential in feel, drawing on local influences and remaining embedded in the Cape’s vibrant design heritage. For the many loyal guests who return year-after-year, the ambience of their room will be reassuringly familiar while there will be much to discover that is new and enchanting.